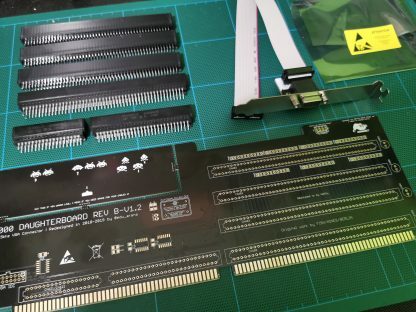 This is a kit to build a A4000 Daughterboard. 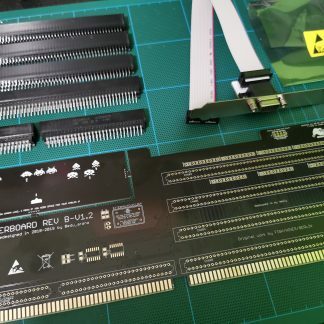 This daughterboard was designed from ground using 4 layers and also adding some features, like VGA Output, independent clock for graphics cards. 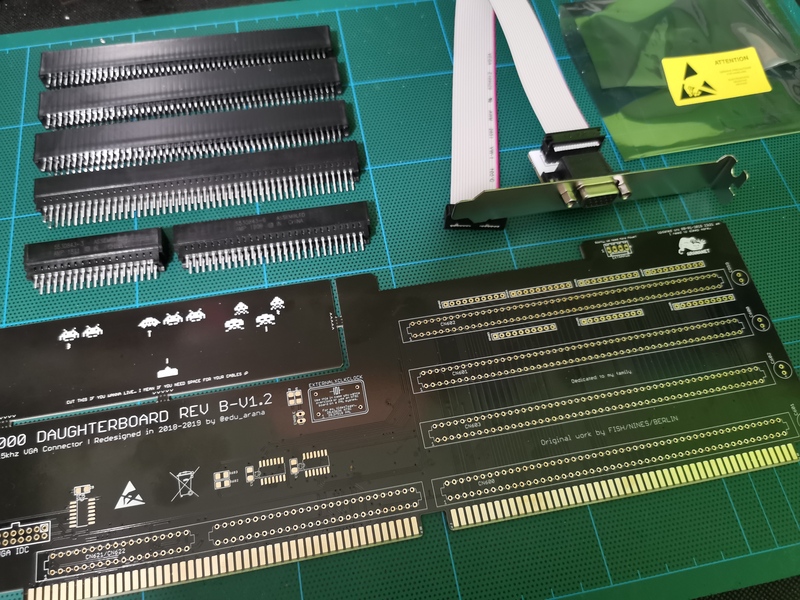 Also all the components are SMD. All the required connectors ( 4×100 pins, 1×34 and 1×56). Note: since 54 pin connectors are almost impossible to find, a 56 pin connector is provided. 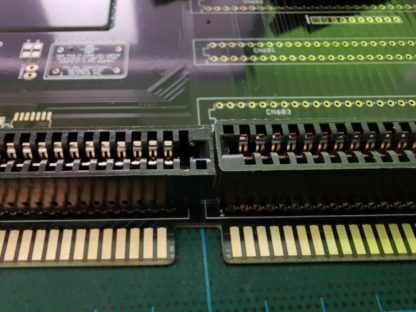 The extra pins will be cutted from the connector. 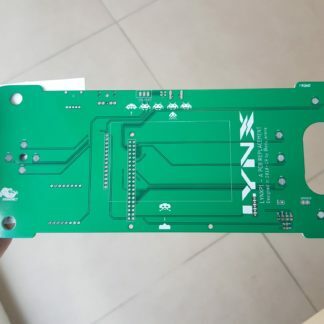 In order to fit it on the pcb. Take a look at the gallery pics to see the correct position.